I am suggesting a full blown codependency personality separates by 12 degrees maximum from their true inner self or others. With each degree of recovery from codependency you become one degree closer to a healthy connection with your inner self and others. continues where Part 1 left off. · Puts others needs before their own. · They deny their own feelings and needs. · Their self-esteem depends on how well they take care of others. The 12 core codependency traits come from the work of John Bradshaw: The Family. How many degrees of separation do you find yourself in codependent relationships? See another 4 core codependency traits. 5. Do you tolerate increasing intolerable behavior? · Are you growing more addicted to something or someone? · Do you continue staying in an abusive relationship? · Are you becoming physically or emotionally sick because of an unhealthy relationship? 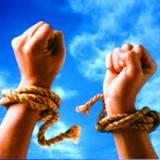 Tip for Recovery: Begin setting personal boundaries by saying No. Talk to friends. You may at some point have to gain enough courage to leave a relationship, if it doesn’t improve. 6. Do you practice emotional repression? · Do you often feel numb or unaware of what you feel? · Do you seldom express your feelings? · Do you sometimes have outbursts of rage, experience fear a lot or panic attacks? · Do you fear anger? Tip for Recovery: Start to become aware of and begin expressing your feelings, if only in a journal or to friends. 7. Do you tend to live in your head? · Do you want to figure everything out? · Do you think about your problems rather than taking action? · Do you worry a lot? · Do you obsess over details? Tip for Recovery: Begin to trust yourself. Become aware of what you feel in your body – our body never lies. Begin to trust your first impressions, your heart, and your intuition. 8. Do you tend to be willful? Do you use your personal will to make something happen? Do you find yourself wanting to control others or events? Do experience difficulty making decisions? Tip for Codependency Recovery: Practice, slowly at first, totally surrendering to the reality of what a situation is or to the way a person is. At some point you may realize you can only change yourself. We can only do our best and learn from our mistakes to do better next time. Do you identify with any of the above codependency traits? Practice at least one tip daily. Michael David Lawrience is the author of The Secret from Drama, Trauma and Pain http://ow.ly/TRbQR His book provides ways for improving emotional health, easing pain and stress, healing physical and emotional abuse, and spiritual awakening.